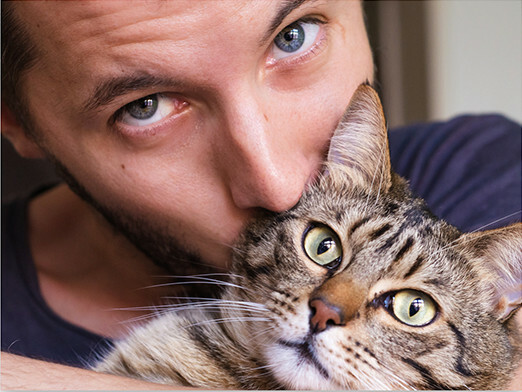 At Cloud 9 Vets, we're pet owners and pet lovers just like you. And we've also gone through the trauma of losing a beloved animal companion. It's the reason we started offering in-home pet euthanasia in Kilmarnock. Because when the day finally comes that your pet can't struggle on without suffering, you want to be sure that not only are you making the right decision - but also that you can make sure it happens without causing them unnecessary stress. 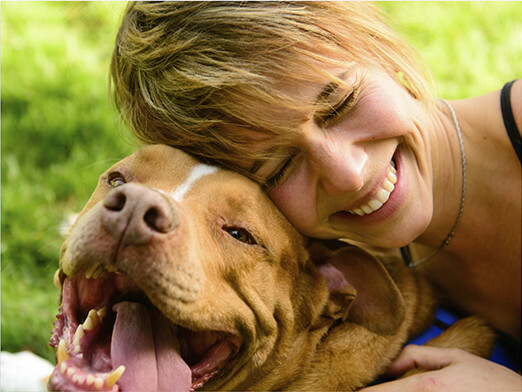 The pet euthanasia that we provide in the local area is entirely pain-free. Your pet will feel a tiny pinprick as they're anaesthetised, and then the actual putting to sleep will happen while they're unconscious. You can do this wherever you know they're going to feel most comfortable. And we only ever go ahead after you've had a complete pet quality of life assessment to ensure that there's nothing that can be done to alleviate their pain. We can take your pet away with us when we leave at your request, and you can then come and visit them one final time at our chapel of rest. It's likely that the cost of putting a dog to sleep couldn't be further from your thoughts at this time. But for most people, dog euthanasia costs aren't something that they can simply forget about when working out their monthly budget. If you ever need to know more about any part of putting a dog down, whether it's about the completely pain-free method that we use or the prices involved, we're always here to help. You can talk to us about it over the phone, or speak to your in-home vet in person. You can always chat to us about any aspect of putting a cat to sleep which might be a cause for concern. For most people, this will involve important considerations about the pain-free method we use as well as practical questions about cat euthanasia costs and so on. Whatever you need to know though, we're here to talk you through it. The place to start when it comes to arranging in-home palliative or end of life care for your cat or dog is a pet quality of life consultation. This will involve us sending one of our helpful and very knowledgeable vets around to your home. There, they can assess your pet's health and provide a plan for their ongoing care. This will usually incorporate some measures to take with their exercise or diet as well as the prescription of any necessary medication. You can ask any questions that you might have, and we'll make sure that you have everything you require to provide the pet pain relief your animal needs on a regular basis. All in all, this is the best way to make sure that your pet isn't hiding their hurts from you and that they're still enjoying life to the maximum! a) How much pain they're in? b) What the most suitable pain relief for dogs or cats actually is? That's why your caring home visit vet will always discuss pain relief for cats and dogs with you only after meeting your pet in person. After your companion has passed on, it's time to make arrangements for their remains. As pet owners ourselves, we know that this is usually the last thing you want to think about. So we'll be glad to gently carry your pet away with us after we've put them to sleep and transport them to our chapel of rest, which is located close by. This chapel is specifically for pets and has a fully accredited pet cremation facility attached. The grounds are very restful and often serve as the final resting place of many of the pets who are sent on in the chapel itself. The pet cremation in Kilmarnock that we provide can be done singly or as a group, with some people preferring this latter option so that their pets don't have to go in alone. The former allows us to return your pet's ashes to you for scattering either in the chapel grounds or at a favourite spot you've already picked. Whether it's dog cremation or cat cremation that you're trying to make a decision about, we're here to help. Like many parts of going about handling the final days of your much-loved pet, having access to as much information as you can get can be a way to make things easier. So whatever you need to know - from more information about animal cremation, what our pet chapel of rest is like, or about pet cremation costs, we're here to help. Whenever you find yourself needing to talk or ask a question, you can reach us by phone or speak to your in-home vet in person. Deciding what to say about your dearly departed can be difficult. Many people prefer a simple stone with a paw print or other mark, while others opt for a small headstone or an urn or special box for keeping the ashes in. We offer many options for pet memorials in Kilmarnock, making it easy to choose the one that's right for you. This is all, crucially, without the need to spend hours searching for pet memorials and continually reminding yourself of your grief. Let us know you'll be needing something in this line and we'll talk you through some options. KA 1 Kilmarnock, KA 2 Kilmarnock, KA 3 Kilmarnock, KA 4 Kilmarnock, KA 5 Kilmarnock, KA 8 Ayr, KA 9 Prestwick, KA 10 Troon, KA 11 Irvine, KA 12 Irvine, KA 14 Beith, KA 15 Beith, KA 16 Newmilns, KA 17 Darvel, KA 18, KA 20 Stevenston, KA 21 Saltcoasts, KA 22 Ardrossan, KA 23 West Kilbride, KA 24 Dalry, KA 25 Kilbirnie, KA 29 Largs, and KA 30 Largs.